Roche Institute of Molecular Biology~ Speeches, addresses, etc. Roche Institute of Molecular Biology, “List of Institute Seminar Speakers for 1981-1982 for the Roche Institute[? 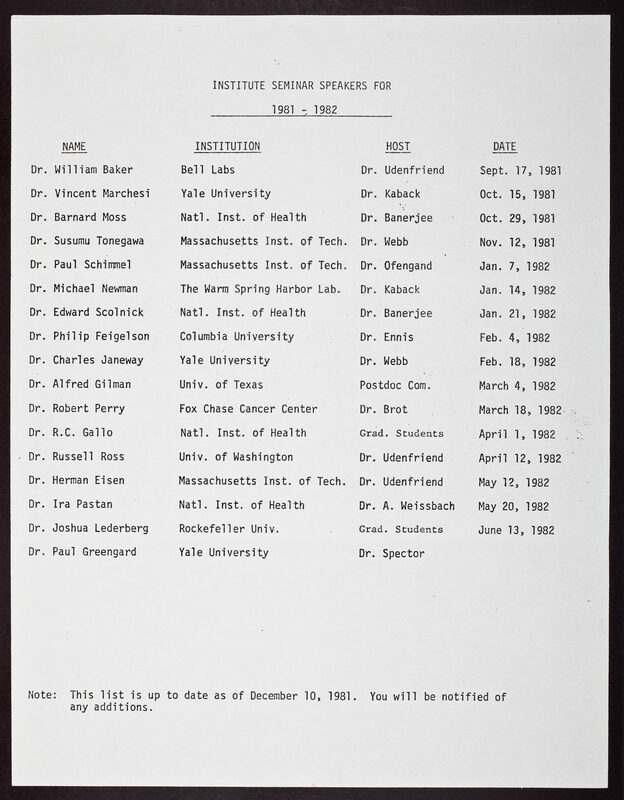 ],” CSHL Archives Repository, Reference JDW/2/2/1306/30, accessed April 20, 2019, http://libgallery.cshl.edu/items/show/46659.